Home to well over five million people, South West England is the country’s largest region by area and encompasses seven counties including Gloucestershire, Bristol, Devon and Cornwall. 98% of the UK notice out of home ads – get noticed with your taxis! 20% have made a purchase after seeing a taxi advertisement! 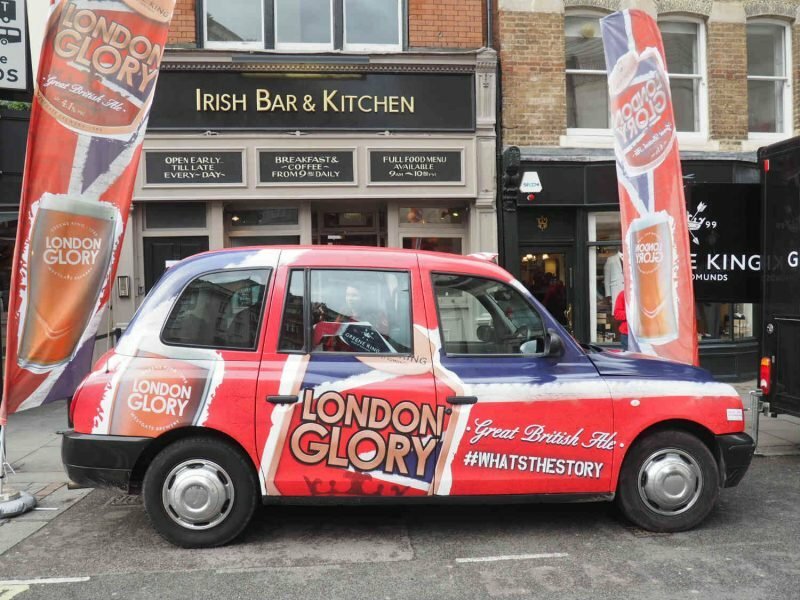 As the number one taxi advertising company in London and throughout the rest of the UK, London Taxi Advertising bring brands to the streets of the country’s busiest towns and cities in style! Why advertise in the South West? Bristol has grown to become one of the UK’s most popular tourist destinations, attracting over 18.7 million day visitors each year. The M4 motorway which connects London and Wales passes through Bristol, meaning that your cab adverts can reach even more people. Interestingly, the South West has the highest average age in the whole of England. This presents you with a unique opportunity to target an older demographic should it suit your brand. That said, the South West is a truly diverse region. From Stonehenge to the iconic Glastonbury Festival in Somerset, there are countless attractions which pull in visitors from across the UK and the rest of the world each year. At London Taxi Advertising, we create and coordinate fantastic taxi advertising campaigns in the South West’s major cities. With a number of formats to choose from, we can bring your brand to the streets in the most eye-catching way. Want to find out more about what we could for your business, or just want to discuss your taxi advertising options? Simply give the team at London Taxi Advertising a call today – we’re a lovely bunch…honest!